My name is Breck Chapman, a Red Seal certified Sheet Metal and Class B Gasfitter.  I have over a decade of experience in the HVAC industry, specializing in retrofitting new, energy efficient furnaces, hot water tanks and heaters, and air conditioners into older homes. I pride myself on my attention to detail, meticulous work and excellent customer experiences. I was raised in Calgary, AB and make my home here in our beautiful city with my wife and two children. We love to explore the outdoors, and have a special place in our hearts for Fish Creek Park where we can be found in all seasons birdwatching, throwing stones into the creek and exploring. If you are interested in working with me to keep you home safe and warm, you can call me at 403.969.2735 or contact me through this online form.